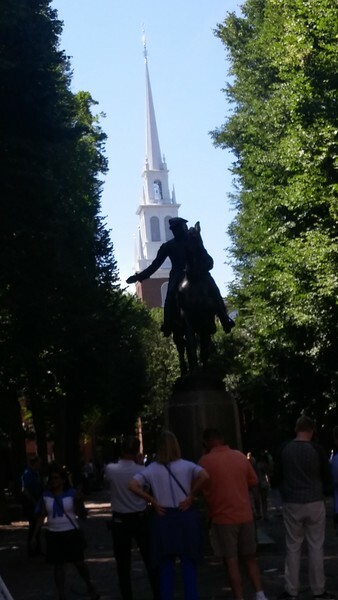 Paul Revere's statue sits right behind the Old North Church. Built in 1723, it's the oldest church building in Boston. In the days before the Revolution, it was a common meeting place for Bostonians who wanted to break away from Britain.